Small Screen Industry, the TV industry has almost similar popularity as the silver screen in South India. It has so much reach that film stars do not shy away from appearing on it for their promotions. Famous musicians like S.P.Balasubramanyam, Chithra, Keeravani, Chinmayi have done and presented the musical reality shows over decades which have garnered much respect and interest among the audience. 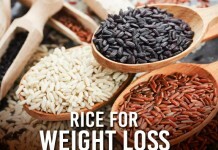 In the recent times, it’s the mainstream stars who have started to do the reality programs which have given a huge push to the small screen industry. The inspiration for this was the Bollywood megastar Amitabh Bachchan who became a house hold member with his small screen stint ‘KaunBangeaCrorepati’ which was later taken forward by King Shah Rukh Khan. In similar ways, some South India has seen such stars doing reality shows. 1. Surya He did the first adaptation of KBC in Tamil as NeengalumVellalamOruKodi (NVOK) back in 2012. He ran a successful five months of the show. Originally Ilayathalapathi Vijay was supposed to do the show but he declined the offer. 2. Prakash Raj Prakash Raj did the second instalment of NVOK in 2013. He was previously seen in a serial in 2003 and after a decade he made his debut as Television host through this. Incidentally he was considered for the first season too before Surya. Bigg Boss telugu season1 was a magnus opus with Jr NTR as host went huge success. Now Bigg Boss Telugu Season2 is going to start soon with new its subtitle “Babai Eesari Masala konchem Ekkuvey” in which hero “Natural Star” Nani is going to host and debut into small screen. Recently Star Maa was officially announced Nani as a host. Season1 participants Sampoornesh, Hariteja, Siva balaji , Navdeep, Adarsh, were played major role in entertain audience. In this common people were also going to be participating this time. And there was a much buzz about celebrity participants in season2 like Singer Geetha Maduri, Actree Tejaswini Madivada, and Hero Tarun. Season2 is going to stream by june 2 week mostly. Let us wait for some day to experience the spicy entertainment. It seems nani is ready to rock season2 with his humor and sarcasm. Guess Celebrities: Geetha Maduri, Tejaswini Madivada, and Hero Tarun. 4. Aravind Swami The ‘Roja’ and ‘Bombay’ star has did his TV stint in the third season of NVOK in 2016, which has seen a two year gap by then. He initially did his first negative role that year with ‘ThanaiOruvan’ and with some changes in the game show format, he pulled off the show perfectly. 5. Puneet Raj Kumar Karnataka Super star Puneet has done the kannada version of KBC titled “KannadadaKotyadhipathi”which was his TV debut too. Speaking about the show Puneet Rajkumar expressed, “I am excited about being the anchor of this show which will give me an opportunity to interact closely with the common people. The format of the show is unique as this gives the common people an opportunity to use their knowledge and change their lives.” Started in 2012, the show has seen two series till now. 6. Suresh Gopi Next adaptation was done in Malayalam as Ningalkkum Aakaam Kodeeshwaran (NAK) by Kerala Star Suresh Gopi in 2014. It had completed three seasons successfully and is in its fourth instalment now. It had a successful run over 260 episodes. Veteran Versatile actor kamal hassan hosted season 1 tamil bigg boss. 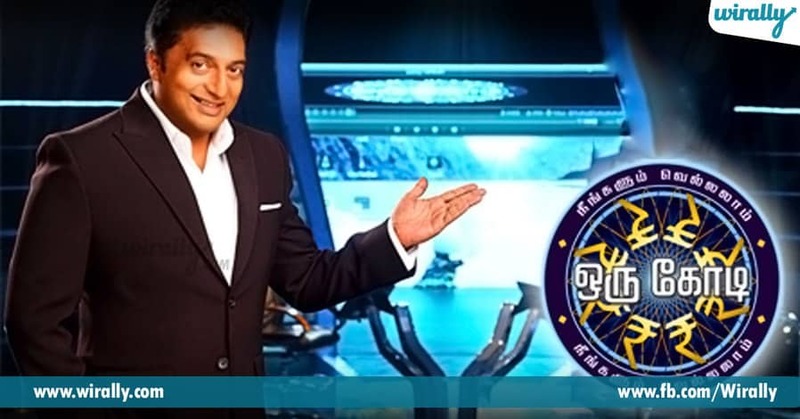 Kamal entertained tamil audience with his hosting skills is the reason why kamal was not replaced and continuing for this season too. Much rumors were about host that Suriya and Aravind swamy is going to make host for Season2 tamil. But quashing all rumors house was announced kamal is going to host season2 also. Sneha Prasanna, Vadivel Balaj, rachitha names were making news about participation in season2 which is going to start in june 2nd week. Guess Celebrities: Vadivel Balaji, Rachitha, Rio, Ramba, Krishna, Sneha Prasanna. 8. 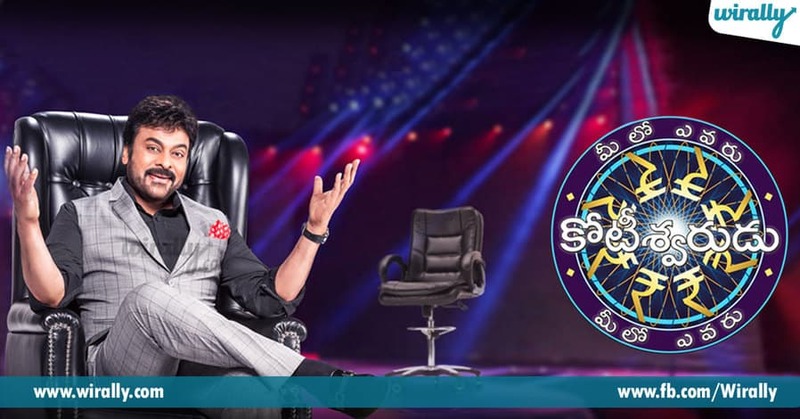 Nagarjuna Tollywood Hero Akkineni Nagarjuna has hosted the Telugu version of KBC titled ‘MeeloEvaruKoteeshwarudu’ (MEK) started in 2014 in Star Maa TV. His TV appearance has seen huge response from audience having known that he is a partner in Maa Channel. He has successfully completed three seasons in 2014-15 and 2015-16. 9. 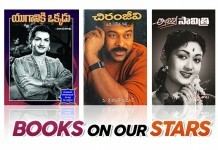 Chiranjeevi Megastar Chiranjeevi’s entry as a Television Host has seen a never before opening for a TV program launch. He did the fourth edition of MEK from February 2017, following Nagarjuna. Also being the year of his re-entry into films, audience were eagerly waiting for his performance and he did not disappoint. Also the celebrities in his shows had some or other connection with him, which made the show Nostalgic. 10. Lakshmi Manchu She was the first star female actress in Telugu to do several reality shows. She hosted ‘Lakshmi Talk Show’ in 2008, where she invited celebrities to talk about their lives. Then she did ‘PremathoMee Lakshmi’, a similar format talk show in 2011 but she invited even the fans to involve in the show. Then she did several game shows like ‘Luckunte Lakshmi’, ‘Doosukeltha’, ‘Super Jodi’ from 2012-14. Her famous shows ‘MeeKosam’ and ‘MemuSaitham’, a show with a social cause, where celebrities would do normal works and earn money to donate and help out a family in distress. This gave a lot of positive response from the audience. 11. KichchaSudeep Kannada Star Sudeep has been hosting the famous ‘Bigg Boss’ from 2013 which has completed three seasons and the fourth season is ongoing now. The first season was telecast in ETV Kannada, the second season in StarvSuvarna TV and the next two seasons were done in Colors Kannada and Colors Super respectively. Sudeep’s TV stint has seen some controversies but still is going very strong. 12. Jr. NTR The new entrant to debut into small screen is Jr. NTR. He is hosting the Telugu format of the famous Hindi reality show of Salman Khan ‘Bigg Boss’ to be launched soon on channel Star Maa TV. Being the first young star hero to do this, NTR himself believes that “the show will be a game changer” in Telugu television. 13. Rana Daggubati “The hunk of Tollywood, Rana Daggubati is also debuting into small screen and web through the chat show ‘No 1 Yaari with Rana’, where he would invite his friends from Industry for a candid talk. Speaking about it, Rana took to twitter saying,”TV, a space I’ve always been fascinated with, for the first time, direct to your home as TV Host ‘No1 Yaari with Rana’ #No1Yaari,” and added, “To celebrate the greatest friendships with your favourite stars, coming to your homes, #No1Yaari with Rana @GeminiTV @McDowellsNo1 #VIU.” Since this is the first time that the Baahubali star will be seen on such a platform, fans are excited for the new show. No 1 Yaari with Rana will be aired on Gemini TV, however, the dates haven’t been announced as of now. Also Tamil Actor- Filmmaker Kamal Hassan are roped in for the Tamil version of ‘Bigg Boss’ which all set to sir on 25th of June 2017 on Star Vijay.